The headline of an article, this week in the Denver Post, read “Star’s doctors were also his friends”. AEG, the company being sued by Michael Jackson’s mother, contends that it was Michael’s choice to establish personal relationships with his physicians that eventually led to his death. Mentioned in the article were after hour house calls, false names on medical records and prescriptions, inviting physicians to spend the holidays at his properties and other actions that crossed the ethical boundaries of a physician – patient relationship. In this situation it’s also a question of money. How much did Michael pay for this clandestine special medical treatment? For most of us the ability to financially pay physicians to cross ethical boundaries is not a consideration. In a perfect world, professional relationships remain professional. Physicians, attorneys, CPAs and others should not be invited to the home of a client for dinner or to consistently act or provide services in a way that crosses the boundaries of a professional client relationship. If the relationship has moved beyond professional, the professional should move to the role of a friend and recommend another professional advisor. 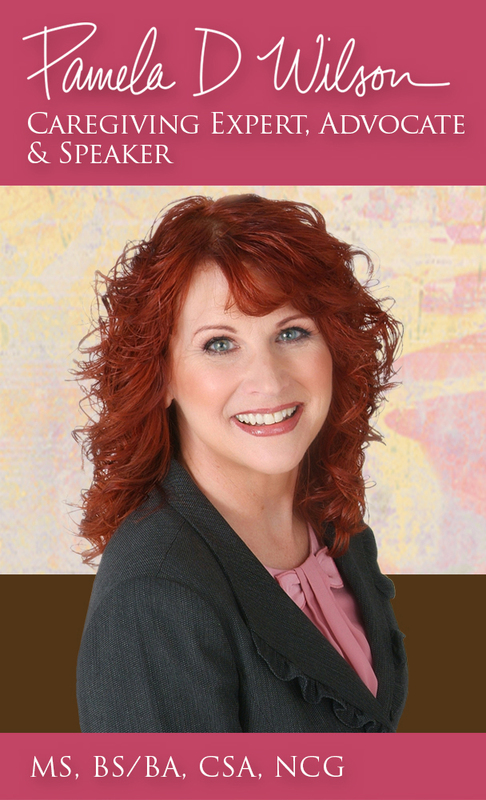 Boundaries are commonly crossed in professional relationships whether the professional – client relationship be with attorneys, physicians, nurses, home health care providers, nursing assistants, financial planners, accountants, bankers or other professionals. The ethics of professionalism is sometimes a situation where logic defies reason, meaning that individuals act out of love or emotion rather than using common sense, logic or reason. Truth be told, we all want to be liked. The desire to be liked becomes sticky in professional relationships where the professional has a duty to act in the best interest of the client. At the point the relationship crosses the professional boundary into familiarity, the character of the relationship changes. It is said that character is what one does when no one is looking. How many of us refuse to compromise our character regardless of whether we are alone or with others? The longer a professional relationship exists, the higher the likelihood that boundaries will be crossed. When I owned my own non-medical caregiving company years ago, daily reminders and coaching occurred on the subject of maintaining professional boundaries with clients. There were employee caregivers who thought nothing of consuming all the food in a client’s refrigerator when the question posed by the client was “are you hungry?” Care providers (until we procured a telephone log in and log out system) were permitted by clients to arrive late or leave early and to be paid by the client for the entire time scheduled. Some of the situations were truly so unbelievable that we began performing skits at training sessions to allow caregivers to laugh at the situations, yet realize how dangerous their seemingly innocent actions had become. Truth be known, unsupervised caregivers in the home of a client results in many sleepless nights for the owners of home health companies. One never knows what an employee will or will not do if ongoing training about boundaries does not occur. The boundary challenge also exists with client behavior. Some older adults are so isolated that they view in home caregivers like daughters, sons or family members and want to know everything about the life of the caregiver. Caregivers with poor boundary control spill their guts and tell clients about their divorces, issues with children, trouble with the law and the inability to pay their bills. This information, of course, elicits sympathy from the client who then wants to give, give and give, whether the gift is money, furniture or other personal belongings. This is the slippery slope that leads to caregiver abuse and neglect including the names of in home caregivers on the bank accounts of clients and in their wills. I can’t tell you how many times my own clients wanted to give me items; I quickly learned how to graciously decline without hurting their feelings. One professional caregiver in an assisted living “borrowed” jewelry from my client to wear during the holidays. When asked what the caregiver was thinking, the reply was, “she offered.” When I asked my client what she was thinking the response was similar. The danger with this particular client is that she regularly accused individuals of stealing from her. How could this professional caregiver, knowing this, believe she would not be accused of theft? Since I left the world of home care behind and today work in the field of care navigation, serving as guardian, power of attorney and case manager I see similar issues in all caregiving fields including boundary issues occurring between employees and residents in assisted living and skilled nursing communities. Again familiarity breeds major character fractures. A patient plans to return home and wishes to hire the nursing assistant from the care community privately not realizing that there are company rules against this practice. The company employee looking to advance their financial prospects agrees. The client/patient naïve to hiring practices and employment agreements makes promises of personal belongings in return for needed care. Several years down the road, bank accounts, titles to vehicles and the title to the home are in the name of the nursing assistant as payment due for their personal devotion for providing care. This distribution of property and money naturally comes as a great surprise to family who may have lived at a distance and had little involvement. In positive care situations, caregivers form emotional attachments with clients. Excellent caregivers form attachments but are also able to maintain personal boundaries. It’s the difference between focusing the relationship on the caregiver’s life versus the life of the person receiving care. 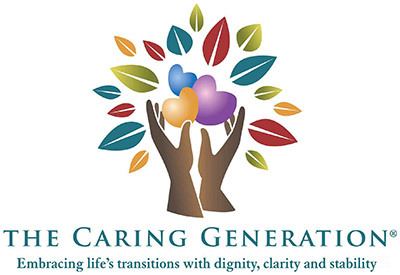 I continue to educate and tell professional caregivers that they exist to remove burdens from the daily life of a client; not to burden clients with their own personal history and baggage. It’s the difference between a professional being asked how are you, and responding with “great”, versus giving every last detail of why life is so miserable. Caregiving is not about the professional caregiver, it’s all about the person receiving care and assistance. Once a relationship becomes familiar versus professional, common sense and logic quickly fade. Professional caregivers all of a sudden believe they know more about an individual than the individual’s family and they begin to take liberties. Pick any industry and the story can be duplicated. In my opinion ongoing reminders and education about professional conduct is lacking in business today. It’s a subject rarely discussed unless the profession is under the oversight of a licensing or governing board with required ethics continuing education. Yet it’s a subject that should be reviewed on a regular basis. In my opinion, if a professional isn’t questioning their conduct on a regular basis, the professional is likely crossing a boundary here or there. What truly is in the best interest of a client and how can this be decided? It takes a balanced approach of contemplating both sides of actions, the pros and the cons. Examining what appears to be right and wrong and looking at the short and long term consequences, including asking if someone on the outside “looked in”, how would the conduct of the situation be viewed? This also includes having a discussion with a patient or client about the ethical foundations of requests and actions and the why and why not of actions. Sometimes all it takes is a simple explanation. What may seem acceptable today may look totally different if the information was to appear on the front page of a newspaper tomorrow. If you’re a professional, ask yourself this question, if your conduct or dealings with any client became a front page headline would this be a positive or a negative? If you are unable to respond overwhelmingly yes, maybe it’s time to take another look at your character, professional and ethical conduct. If you are in a caring profession and are not discussing character, conduct, ethics and professional behavior on an ongoing basis with your employees it’s time to start today. It’s important to have similar discussions with patients or clients who may not understand company guidelines. Full disclosure of information, policies and procedures is important to eliminate faulty expectations or surprises. A front page story, “the woman’s caregivers were also her friends”, might not be a great newspaper headline if the caregivers acted in poor conduct that resulted in injury, harm or death. It’s time we all bring greater awareness to ethics and professional conduct. Our clients deserve the best we can offer, including referring them to another professional when or if our relationship becomes too familiar that we lose perspective and objectivity about right and wrong.